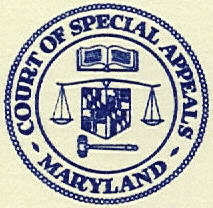 At the request of the Honorable Glenn Harrell and Robert Zarnoch Esq., the Maryland State Archives prepared materials relating to "A Court of Appeals Time Capsule: Six Historic Arguments in the Nation's Oldest Appellate Court" which was presented to the annual meeting of the Maryland Bar Association on June 10, 1999, narrated by the Honorable Diana G. Motz. 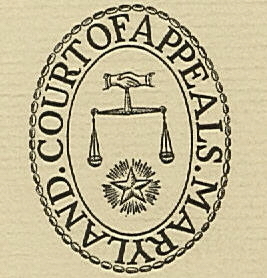 See also "A Court of Appeals Time Capsule: Six Historic Arguments in the Nation's Oldest Appellate Court" in University of Baltimore Law Forum, Summer/Fall 1999, Issue 30.1, pp. 13-27. Issue: Could the General Assembly eliminate the Baltimore City police force and create a State entity to enforce laws in the City? Attorneys: Attorney General Isaac Lobe Straus, William S. Bryan, Frederick Fletcher, and Randolph Barton, Jr.
Summary: The plaintiffs sued the Warden of the Maryland Penitentiary to recover property seized in order to expand the prison. Summary: Donald Gaines Murray, represented by Thurgood Marshall, sues the University of Maryland Law School upon being denied entrance on the grounds he was not accommodated under the "separate but equal" doctrine. Summary: Lidge Schowgurow, an adherent of the Buddhist faith, challenged his murder conviction on the grounds that the jury had been asked to demonstrate a belief in God during the selection process. Summary: Mary Emily Stuart, a married woman, challenges the Board of Elections' decision to cancel her voter registration on the basis that she had registered under her maiden name. The Documents for the Classroom series of the Maryland State Archives was designed and developed by Dr. Edward C. Papenfuse and Dr. M. Mercer Neale and was prepared with the assistance of R. J. Rockefeller, Lynne MacAdam, Leigh Bond, Matt Brown, Laura Lisy and other members of the Archives staff. MSA SC 2221-24. © 1998 Maryland State Archives, rev. Dec. 2004.